Singer Barry Manilow performs during A Very Berry Christmas presented by KOST 103.5 on Dec.20, 2017 at The Forum in Inglewood, California. "A Very Barry Christmas" special is set to come to Amalie Arena on Dec. 7. TAMPA, Fla. – Pop music legend Barry Manilow is bringing his Christmas special to Tampa this holiday season. 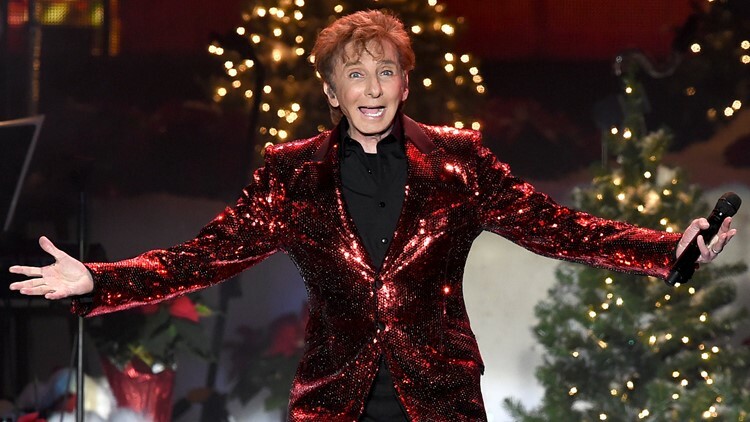 On Dec. 7, Manilow is set to bring his "A Very Barry Christmas" special to Amalie Arena. Manilow is expected to sing classics like "Copacabana" and "Mandy" as well as Christmas favorites. Tickets go on sale at 10 a.m. Friday, Sept. 7. Go to Manilow's website for more info on his other tour stops. SHOW ANNOUNCE 🎤 Music legend @barrymanilow is coming to #Tampa for "A Very Barry Christmas" performance this December 7. Tickets go on sale this Friday at 10 am.